Is there a better alternative to Sunken Words? Is Sunken Words really the best app in Puzzle category? Will Sunken Words work good on macOS 10.13.4? Sunken Words... Voyage far into the magical, silent depths of the sea in this elegant new release from Fire Maple Games. 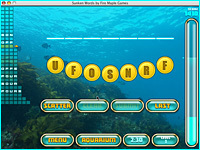 Race the clock to unscramble and assemble as many words as you can before the clock runs out. 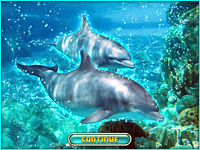 Welcome a new fish to your colorfully growing aquarium with every level successfully completed! Care to make a wager? Dare to double (or lose!) your points at the start of each new level. 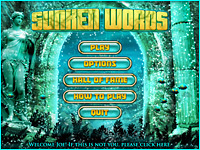 Sunken Words features beautiful graphics, a Hall of Fame, a completely personalized beautiful aquarium, and a peaceful, melodic soundtrack. Sunken Words needs a review. Be the first to review this app and get the discussion started! Sunken Words needs a rating. Be the first to rate this app and get the discussion started!